You know . . . an easy way to turn your knowledge into possible income is to create a booklet or ebook. And, with an ebook, if you use sources such as Kindle, it won’t cost a penny. It’s as easy as putting the pieces of a puzzle together. But, on the flip side, if you’re thinking of doing B2B (business to business) work, businesses would prefer a booklet to hand out to prospects, clients, or employees. While booklets have their place, today, I’m going to address ebooks because they're such an amazing product and they can be absolutely FREE to create! What else can you create for free and SELL for whatever you think it’s worth? Okay, maybe not for ‘whatever you think it’s worth,’ you do have to consider the market when deciding on a price. But, as far as cost, the only cost is your time and some effort. 1. All you need to do is open a Word document and start typing away. Get all that expert knowledge you’ve accumulated over the year/s and create your content. Just be sure that your content will actually be of value to your readers and reliable. 2. Now that your content is set, you can add pictures. If you can believe it, this is also free or pretty close to it. Just use clip art or visit sites such as Freepixels.com, MorgueFile.com, or BigStock.com. Another easy way to do this is to take your own pictures. Download them onto your computer and then upload them into your ebook. You can use Microsoft Word to tweak the image or if you have a program such as Photoshop Elements or Logo Creator you can create all types of variations of one simple photo. 3. The next step is to design your own cover and/or interior images. It’s easier than you think. 4. That’s it! Now, it’s time to take your Word doc and cover and upload it to Kindle or other service. 5. You can also use a pdf creator and change your Word doc into a pdf file. Then you’ll have an ebook! But, wait a minute, there’s more. What about the benefits of creating your own ebook? Now that you have an ebook, what can you do with it? Well, just about anything! You can sell it on your own website through Paypal or Google checkout, or use a shopping cart service; you can sell it through Kindle, Lulu, or Smashwords, or lots of other services. 2. Use it as an ethical bribe. You can offer your ebook as a free gift to entice visitors to sign up for your newsletter. 3. Make it keep giving. If you decide you’ll give it away as a free gift (ethical bribe) to subscribers as an incentive to opt in to your mailing list, and you should be doing this as part of your book marketing strategy, you can get even more ‘bang’ for your effort by making it ‘reprint allowable.’ This is a great way to increase your visibility, create backlinks, and bring traffic back to your site. ‘Reprint allowable’ simply means the recipient can pass it along to others, as a free gift, as long as he keeps it completely as is. 4. Create a combo package. You can also offer it as a combo with other works you have for sale. And, you will be establishing and promoting your expertise and authority . . . you get the idea. I recently did this with an affiliate product I promoted. To sweeten the pot (take it up a notch), I offered one of my own products as a bonus. There you have it, four simple ebook strategies that can make you money, build your list, and generate visibility. If you're a business owner, small or home, nothing says authority like a relevant to your industry/niche book. You have a potential client or customer who you want to impress - give him your book. Give her your book that's full of information about your industry and about your company. And,you can include what your business can do for the reader. Gigantic Tip: Know what's even more impressive than an ebook? A physical book. Check out CreateSpace to get your ebook turned into an 'in your hand' book. NEED HELP CREATING YOUR EBOOK? I can help. Visit The Article Writing Doctor today! Thanks Karen. I have published a few e-books, and you're right, it's not difficult--although would emphasize the need for good editing. There's a temptation to do it yourself, and so often we read what we know it's meant to say! Having said all that, I have a number of them in the process. Time to concentrate on one at a time and get them finished! Shirley, you're absolutely right. Any work you put out there just be edited, aside from self-editing. You just can't catch some of your own errors. Carolyn, it does fit in nicely with your post on formatting an ebook. Yes, today it's so important to cover all your bases. There are tons of 'digitally inclined readers' and you certainly don't want to miss out on that market. Carolyn, where can I find a link to the formatting article? Good tips, Karen. I agree with Shirley--before you put your work out there for everyone to see, please get it professionally edited. It really reflects on you if you have a product that is full of errors or not well-written. Heidi, you're so right. Our published work is a reflection of our writing abilities. It's best to have manuscripts professionally edited before publishing. Hey, Annie, it really is! Thanks, Karen, for this step-by-step information. Not sure how I can connect it with my blogsite topic but I'll be thinking! Kathleen, What's your blogsite topic? Encouraging people who are going through a difficult time - pain, sadness, hopelessness, etc. Kathleen, that's a perfect niche for an ebook to offer visitors or to sell. Off the top of my head, you can create an ebook of motivational quotes. This is amazing information. I'm gong to apply it for my second book immediately, and am passing it on to others, and to my son who is writing a true account of an event. To think of what I went through to get my first book formatted, reformatted and more. Never again!. Thank you. Ester, I'm so glad this information is helpful. And, thank you for sharing it. I hope it helps get you and your son on the right self-publishing path. Lots of great information. Thanks, Karen! Susanne, I'm glad you find the information helpful! This is so simply and clearly laid out, Karen. There is no excuse not to create an ebook. It is easy, Maggie. 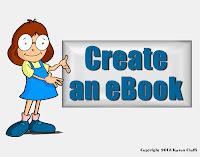 And, since there was so much interest in the benefits of creating an ebook, tomorrow there's a post on how to actually create and convert and ebook. Simple steps for what can seem like an overwhelming process. Thanks. Hi, Mary Jo, thanks for stopping by! Meka, glad you found the post informative! Thanks for stopping by. Thanks for sharing such an informative post. Thanks! Lubna, glad you found it helpful!